"From big data mining to building of innovative business models in classical industries: a case study of fashion/textile supply chain"
New business models generated in the environment of big data will enable to provide all kinds of customized services to enterprises. These data-based services include: 1) development of virtual product visualization-based digital platforms for sharing product data at different levels, breaking industrial boundaries and performing interactive design and production with direct participation of consumers; 2) building overall supply chain monitoring systems for controlling all product data from a very initial stage, such as fiber manufacturing to end products at clothing and shopping stages; 3) building product recommendation systems by relating technical parameters to consumer perception on fashion and functional properties, 4) building data-based optimized flexible manufacturing and supply chain, for realizing various customized production tasks by a series of networked small factories, 5) building networked marketing systems for realizing online forecasting consumers’ behaviors and predicting final markets. Xianyi Zeng received the B.Eng. degree from the Department of Science and Technology, Tsinghua University, Beijing, China, in 1986, and the Ph.D. degree from the Centre d’Automatique, Université des Sciences et Technologies de Lille, Villeneuve d’Ascq, France, in 1992. He is currently a Full Professor with the French Engineer School, Ecole Nationale Supérieure des Arts et Industries Textiles (ENSAIT), Roubaix, France, and Director of the GEMTEX (textile engineering and materials) National Research Laboratory. Since 2000, he has been leader of the HCD research team (Human Centered Design) in GEMTEX. He has published three scientific books, more than 110 papers at peer-reviewed international journals, and about 200 papers at international conferences. His research interests include: 1) intelligent decision support systems for fashion and material design and recommendations, 2) modeling and analysis of human perception and cognition on industrial products and their integration into CAD processes, and 3) development of intelligent wearable systems. 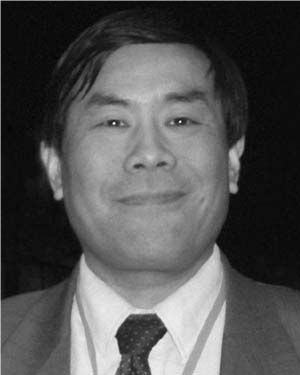 Dr. Zeng is currently a senior IEEE member, an Associate Editor of International Journal of Computational Intelligence System and Journal of Fiber Bioengineering and Informatics, a Guest Editor of Special Issues for sept international journals, and delivered more than 20 plenary presentations at international conferences. He has organized more than ten international conferences and workshops since 1996. Since 2000, he has been the leader of three European projects, four national research projects funded by the French government, three bilateral research cooperation projects, and more than 20 industrial projects. Copyright © 2019 issatconferences.org. All Rights Reserved.